Assistance upon arrival at Colombo Airport and transfer to Hotel. Colombo:- Like many capital cities in developing countries is fast changing its face. Almost overnight, skyscrapers arise from where old buildings once stood. Yet in some parts, the old world charm is retained. For example, there is a 100-year-old clock tower and several British built colonial buildings. After breakfast depart Colombo for Anuradhapura en route to visit the Pinnawala Elephant Orphanage. 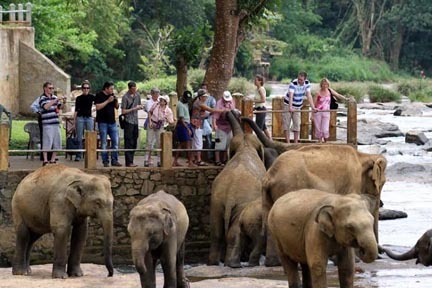 Pinnawala Elephant Orphanage:- Established in 1975, commenced with seven orphans. Today some of these orphans enjoy the fortune of seeing their grandchildren born in the same location. The nearby river played a dominant role in this regard and in 1984, the first baby of Pinnawela was born. After visiting Pinnawala drive straight to Anuradhapura arriving in Hotel. After breakfast sightseeing tour of Anuradhapura visiting. 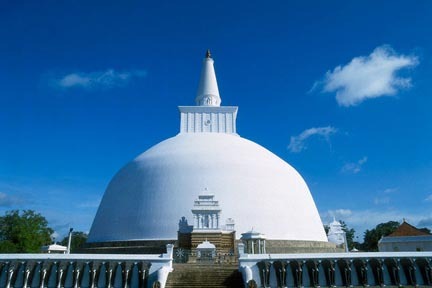 Anuradhapura- It was the first capital and undoubtedly the grandest city of the ancient Sri Lanka. It is the home of two World Heritage sites. Many places of historical and archaeological interest could be visited. Sri Maha Bodhi (Sacred Bo-Tree) was brought as a sapling of the tree under which Prince Siddhartha attained to enlightenment and it is over 2,200 years old and is the oldest historically documented tree in the world. At Brazen Palace (2nd century B.C), the 1600 stone columns you see are all that is left of a magnificent multi-storied residence for monks. Ruwanweliseya (2nd century B.C) is the most famous of all the Dagobas. After breakfast depart Anuradhapura for Polonnaruwa arriving in the hotel. 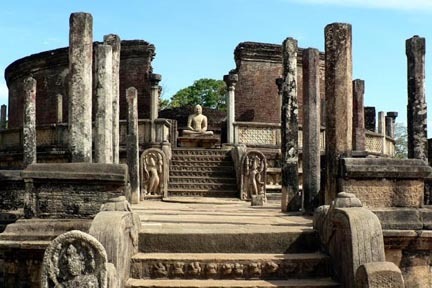 Polonnaruwa -which was the 2nd capital city of Sri Lanka built in the 11th and 12th centuries AD, and which is a world heritage site. Here you can see the ruins of the Royal Palace, the Gal Viharaya where 4 splendid statues of the Buddha in ''Upright'', ''Sedentary'' and ''Recumbent'' postures carved out of rock could be seen, the Audience Hall, the Lotus Bath, the statue of king Parakramabahu, and the Parakrama Samudraya - a lake built by King Parakramabahu the great. There are also monuments of famous places of worship such as the Shiva Temple, the Lankathilake, the Watadage, the Galpotha, the Kiri Vehera and the remains of a former Temple of the Tooth Relic. On your way back to hotel you could also wines a wood carving shop where you will be shown all the types of timber and hardwood available in Sri lanka and all the creative furniture's made by our master craftsmen. After breakfast depart Polonnaruwa for Dambulla arriving in Hotel. In the afternoon visit Dambulla rock temple has been built by king Walagambahu in the 1st century B.C. and it is a world heritage site. 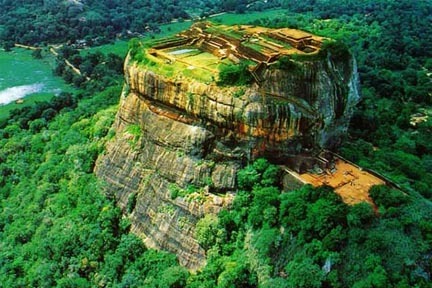 Also, it is the most impressive of Sri Lanka''s cave temples. The complex of five caves with over 2000 sq. meters of painted walls and ceilings is the largest area of paintings found in the world. It contains over 150 images of the Buddha of which the largest is the colossal figure of the Buddha carved out of rock and spanning 14 meters. After breakfast depart Dambulla for Kandy en route to visit Sigriya Rock fortress. Sigiriya Rock Fortress, Climb the 5th century Sigiriya rock fortress which is a world heritage site, built by King Kashyapa (477-495 AD). The ''Lion Rock'' is a citadel of unusual beauty rising 200 meters from the scrub jungle. The rock was the innermost stronghold of the 70 hectare fortified town. A moat, rampart, and extensive gardens including the renowned water gardens ring the base of the rock. Visit the world-renowned frescoes of the ''Heavenly Maidens'' of Sigiriya, which are in a sheltered pocket of the rock approached by a spiral stairway. These frescoes are painted in earth pigments on past. After visiting Sigiriya Rock Fortress drive straight to Kandy arriving in Hotel. After breakfast sightseeing tour of Kandy visiting:-Royal Botanical Garden, The Gem Museum and traditional batik-making factory. 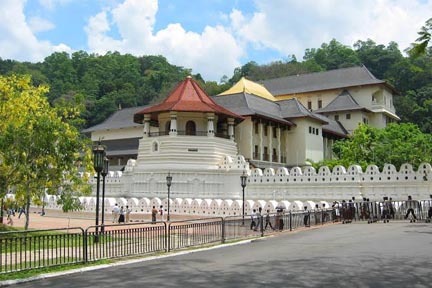 Kandy which is a world heritage site and many of the legends, traditions and folklore are still lovingly kept alive. Drive around the Kandy Lake built by the last Sinhala king Sri Wickrama Rajasinghe in 1806. Royal Botanical Garden in Kandy, which was first, built as pleasure garden by a Sinhala king later expanded by British. It is 147 acres in extent & providing amazing variety of tree, plants & flowers. The Gem Museum and traditional batik-making factory. A stroll in the market place would also be interesting and by the night experience a colorful show where you will be taken to mind blowing Sri Lankan culture extravaganza…Get ready for Heavy drum beat and acrobatic act. After breakfast depart Kandy for Nuwara Eliya .Look Up and look forward for Nuwara Eliya Sri Lanka's premier hill resort and the city predefines the world tea industry. The drive from Kandy to Nuwara Eliya winds through an ocean of tea plantations. En route get up close and personal to Waterfalls and stop by to enjoy a cup of Ceylon Tea while enjoying the spectacular scenery. Spend the evening relaxing in the cool climate. Also visit a tea factory where you can witness the process of how the legendary Ceylon tea is produced in need you can purchased the only Factory Fresh unblended tea. After breakfast leave for sightseeing tour of Nuwara Eliya. You can walk the city amid the Nuwara Eliya Town. 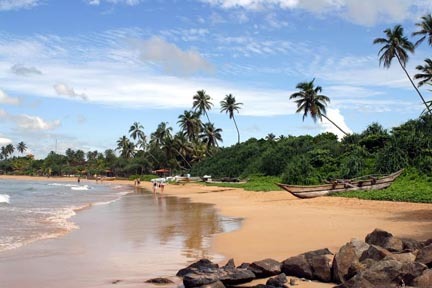 The City is known as, "Little England" of Sri Lanka. 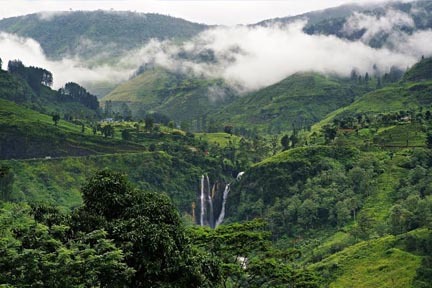 Is set against beautiful backdrops of Mountains, Valleys, Waterfalls and Tea Plantations. It is supposed to be one of the coldest places on the island, but is really just like an England spring day although the temperature does drop at night. All around Nuwara Eliya you will see evidence of the British influence. Houses are like country cottages or Queen Ann style mansions. After breakfast depart Nuwara Eliya for Yala arriving in Hotel. In the afternoon Safari Ride of the Yala National Park by jeep. 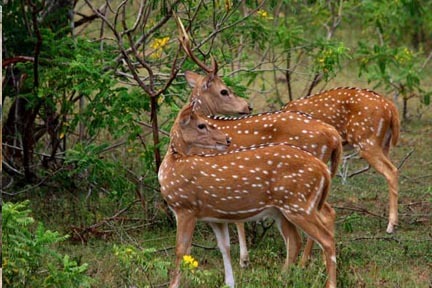 Yala is the largest National Park in Sri Lanka which is the home for wild elephants, wild boars, wild buffaloes, leopards, bears, deers and crocodiles. Large flocks of migratory and indigenous birds are also found here. After breakfast depart Yala for Bentota arriving in Hotel. A beach resort carefully identified to suit the best location overlooking the Marvelous Indian Ocean and the thickest beach stretch. After breakfast depart Bentota for Colombo arriving in Hotel. In the afternoon leave for city tour of Colombo, like many capital cities in developing countries is fast changing its face. Almost overnight, skyscrapers arise from where old buildings once stood. Yet in some parts, the old world charm is retained. For example, there is a 100-year-old clock tower and several British built colonial buildings. Other places of interest are the Pettah bazaar - where one can shop for bargain, a Hindu and a Buddhist temple, residential areas where you find the stately homes of the affluent, the Bandaranaike Memorial International Conference Hall (BMICH)- an outright gift to Sri Lanka from the People's Republic of China. Morning transfer to Colombo airport for flight back home.